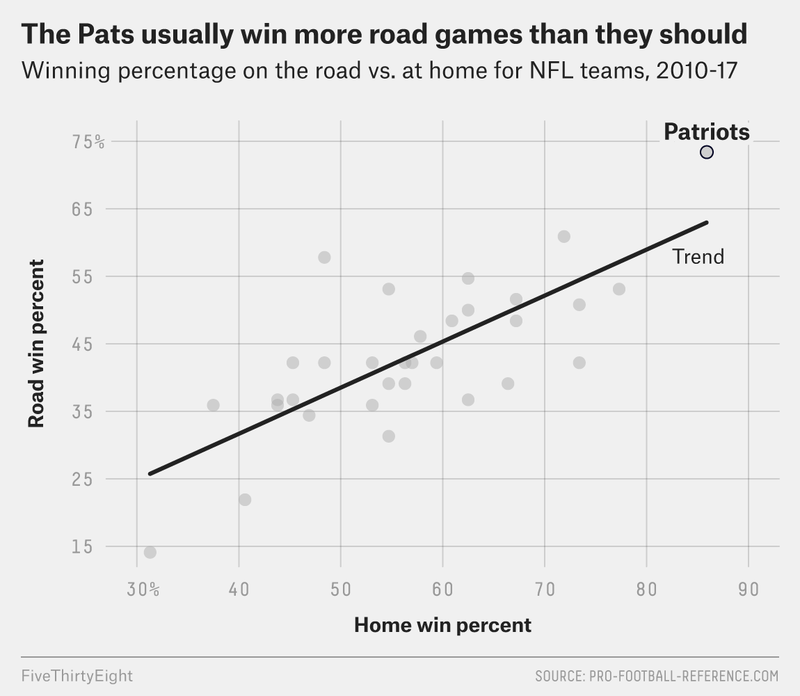 New England is just a regular-good NFL team, which — don’t worry — still makes it a Super Bowl contender. Yes, we know they are in first place. Since 2010, New England has played a total of 15 non-Super Bowl playoff games — of which 13 have been hosted at Gillette Stadium. Though it does bear mentioning that six of the eight Super Bowl champs this decade ranked among the top 10 in ANY/A, right in line with the Pats’ current performance.